“There is something about Arvind Kejriwal, that whatever he does comes in the limelight” says S.Vaikundarajan. Recently Arvind Kejriwal was sent to tihar jail since he refused to pay bail bond and agreed to stay in jail till June 6,2014. But according to latest news, Arvind Kejriwal has now agreed to pay the bail bond to come out of jail. Arvind Kejriwal, in a press conference in January, had called Nitin Gadkari and many more politicians as corrupt persons. While the allegations weren’t backing evidence, Arvind Kejriwal defamation case cash charged by Nitin Gadkari against Arvind Kejriwal. 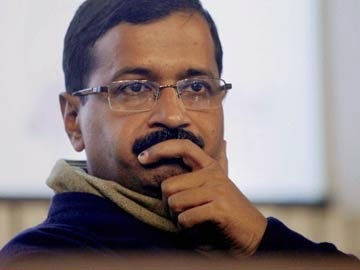 The Aam Aadmi Party (AAP) supremo, Arvind Kejriwal was twice summoned by the court, but he skipped those hearings. Eventually, Arvind Kejriwal was deported to Tihar Jail for his denying of furnishing the bail bond. Later after a detailed conversation with the bench of Justices Kailash Gambhir and Sunita Gupta, he decided to behave like an Aam Aadmi and pay the bail bond. With all his acts it is getting for all the people and especially his followers to understand him and get a clear image of his thinking. If Arvind Kejriwal and his team continue to reverse from his stand then the people may show their anger in the upcoming Delhi Assembly Elections which is Arvind Kejriwal and his teams last hope to stay in politics.